If your manufacturing plant, factory, warehouse, or commercial/industrial building needs a major interior or exterior overhaul, you need to contact a specialized painting contractor company. 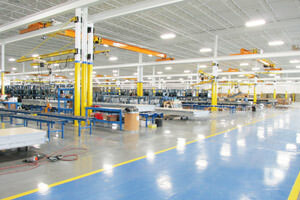 Induspray offers exceptional industrial painting services throughout the Akron, Ohio region. Professional at what we do, we are skilled painting contractors. We have a team of painters who work safely and take on larger tasks head on. Regardless of whether the facility needs painting or coating on the outside or inside, Induspray can take easily handle it. We focus on preparing buildings prior to painting, and any old, dirty and contaminated facility is met as a welcomed challenge. 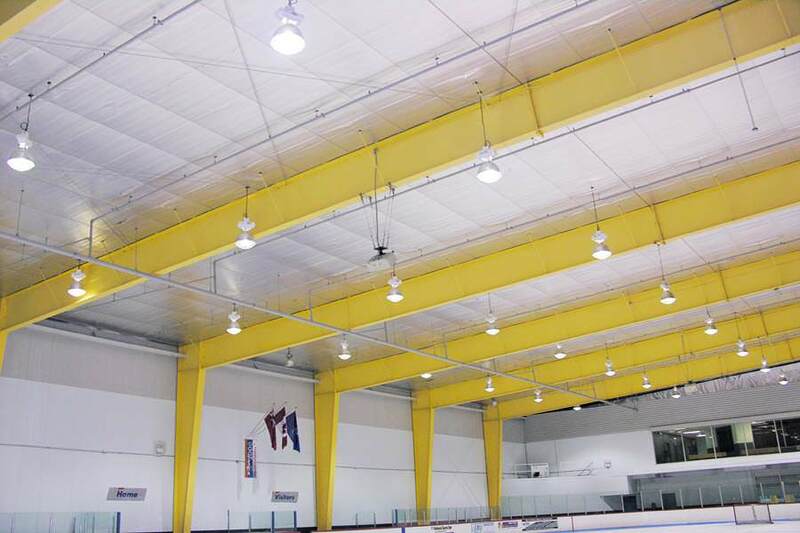 We specialize in large jobs, and spray painting galvanized metal deck ceilings. For a successful painting project, a solid, clean surface underneath an area that is to be painted is always required, and hence it must be properly prepared. Suitable surface prep must be utilized in order for paints and coatings to stick to the surface correctly. If this is not done, the job will fail over time and require being corrected and redone, thus increasing the overall project costs. Induspray strongly believes the job should be done right the first time, and takes the necessary steps in order to make sure the surface is ready for painting or coating. 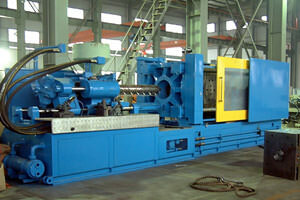 A number of techniques are utilized, depending upon the situation, to prepare the surface for the coating stage. Some of these methods include: hot water power washing, aggregate blasting, solvent cleaning, mechanically shot blasting surfaces, CO2 cleaning, abrasion, high-pressure water washing, steam cleaning and others. Induspray’s team of highly-trained, skilled painters all have the experience needed to apply coatings properly. One of the methods that they are especially knowledgeable in, and use often, is airless spray painting. Depending on each project scenario, painting techniques are carefully planned in order to provide optimum results. 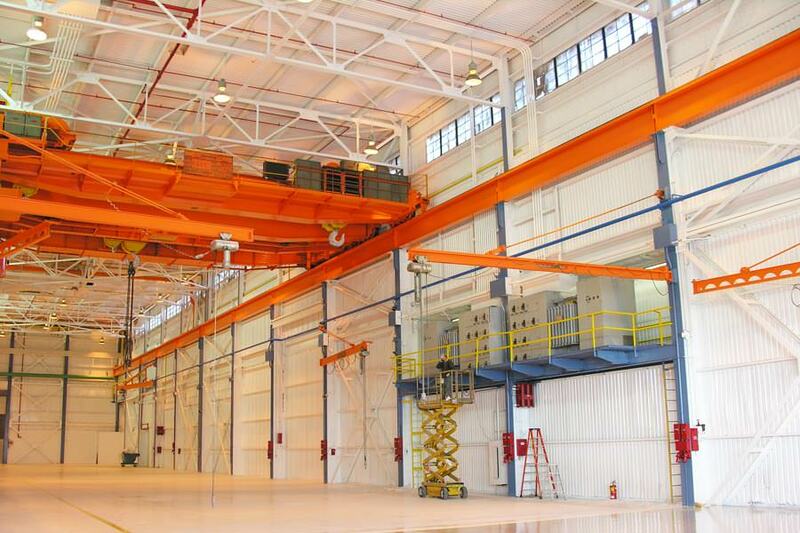 As industrial painting professionals, we work in Akron, Ohio in many industrial sites that may include interiors that have areas that are difficult to reach, or exteriors which are high. 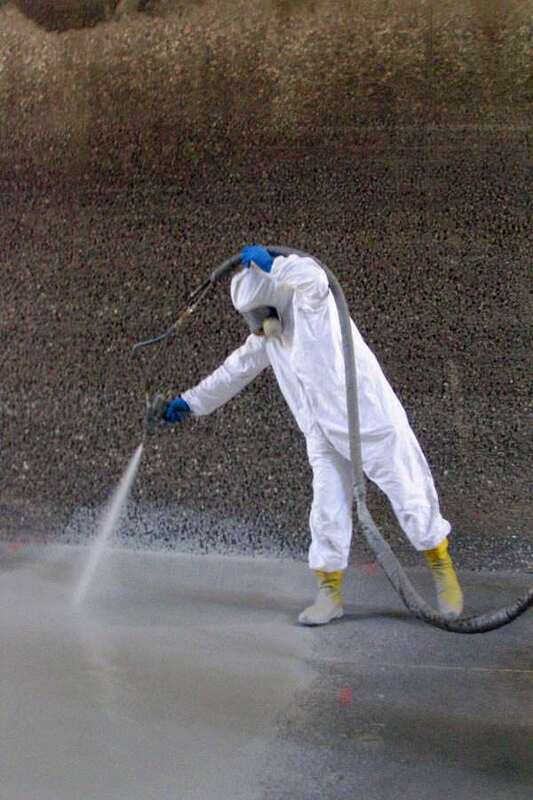 Induspray’s painting crews utilize appropriate access equipment in order to safely and effectively complete any painting project at our job sites. High-performance coatings and paint are all that we use at Induspray, and we have a large selection to choose from. 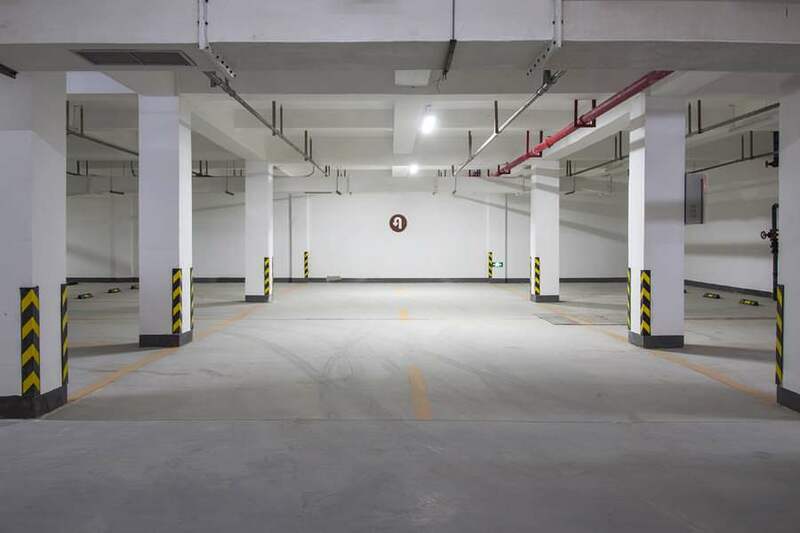 We determine which is best for each job based upon its length of wear and tear, the environmental conditions of area where it will be applied, and the customer’s budget. 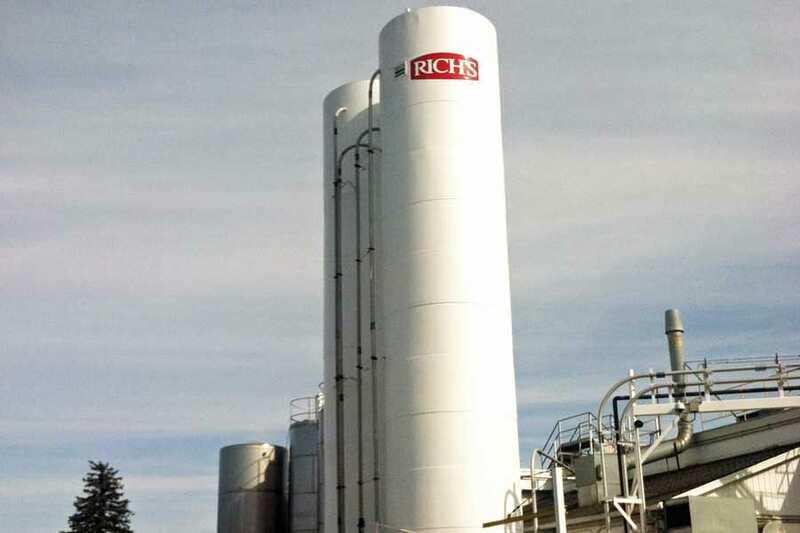 Upon analysis of the project, we choose which type to use including: urethanes, enamels, latex coatings, alkyd coatings, epoxies, polyurethanes, rust-inhibiting coatings, high-adhesion coatings, quick-dry paints, slip-resistant coatings, and LEEDS-certified coatings. We choose the paint system for the job that will have the best performance, while also being equally cost effective. We carefully analyze the situation further for exterior projects which must stand up to the sometimes harsh climate experienced in Akron, Ohio and across the state. As a reliable choice for commercial and industrial painting projects in Akron, OH, Induspray has been in business and serving the area since 1975. During that time, we have accumulated extensive experience in various industrial painting scenarios through numerous projects, giving our painting crews the knowledge of what to do and how to do it correctly. Through the use of effective project managers, skilled painters, and a valuable network of suppliers and industry partners, we ensure that each project is successfully completed and on timely. With the large volume of work that we do while refinishing millions of square feet with paint and coatings annually, our costs end up being noticeably lower than those of our competition. That’s because we buy very large volumes of supplies, allowing us to secure the lowest possible wholesale pricing with suppliers. This is good news for our customers, since we pass on much of these savings to them, resulting in lower total project costs. When you’re searching for someone in the Akron, Ohio area to complete a painting project, and are comparing the costs and evaluating your options, please include us. An Induspray representative will gladly answer questions regarding your project requirements, and will also visit your job site in person if needed. From there, we will make an educated cost estimate, and provide you with sound recommendations to designed best meet your project needs. These services are always provided for free and without obligation. Our local Akron, OH service area includes Greater Akron, plus nearby Barberton, Norton, Tallmadge, Cuyahoga Falls, Kent, Green, Stow and Fairlawn located in Summit County, Ohio. "A perfect project: nicely executed and no mess left behind. You are our new painting contractor of choice and can expect to hear back from us in the future." 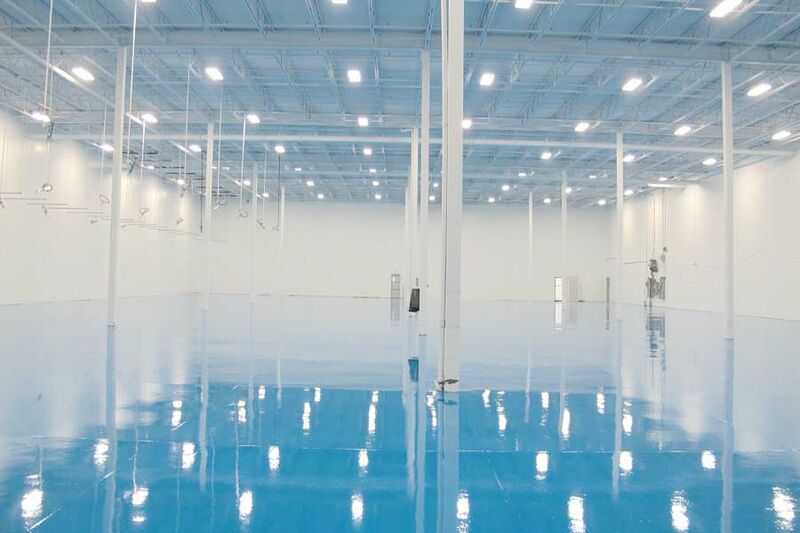 "We truly appreciate the superb epoxy floors and freshly painted walls and ceilings that your painting team has provided in our Akron Ohio manufacturing facility. From the first site walk-through, your attentiveness and responsiveness showed that we were working with a first rate company. I look forward to working with you again in the future." Akron, OH is located roughly 30 miles south of Cleveland. It boasts a population of approximately 200,000 and is home to a wide range of businesses, manufacturing firms, and industrial facilities. 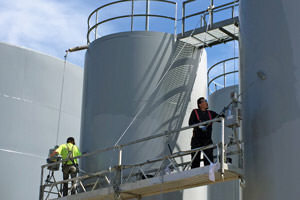 The region is served by several industrial painting companies.